Obituary for Bridgette Denise Warren | L.E. 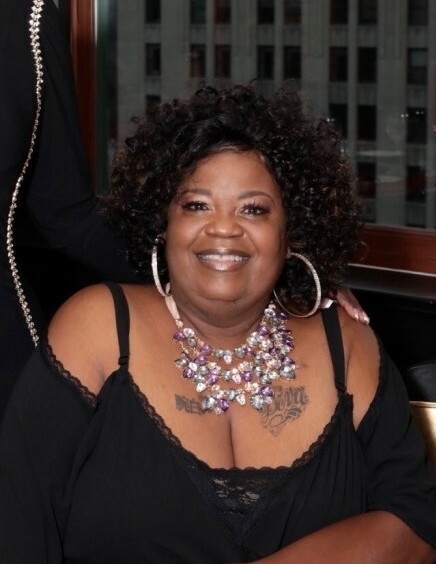 Black, Phillips & Holden Funeral Home Inc.
Services will be held at 10:00 a.m. Saturday, April 13, 2019 at the Rising Star Baptist Church, 2943 Wardle Ave. Youngstown, Ohio 44505, for Mrs. Bridgette D. Warren, 55, who transitioned to her heavenly home on Saturday, April 6, 2019. Mrs. Warren was born August 5, 1963 in Wilmington, Ohio a daughter of Samuel L. II and Thelma Greene Galman. She was a 1981 graduate of South High School, attended YSU and was a graduate of Harding Business College. She was a member of Rising Star Baptist Church where she was a member of the culinary ministry and participated in the Church’s food distributions. She had been employed by Eagles Christian Preschool and Day Care as a teacher, and as a Nurse’s aide for North Side Hospital and Camelot Arms Care Center. She loved music, cooking, garage sales and shopping and being with family. She enjoyed decorating in her home especially for Christmas. She leaves to cherish her memory, her husband of 22years, Michael; three daughters whom she adored, Salaya Martin of Katy, TX., Brianna and Shania Warren both of Youngstown; her sister, Yvette Galman and brother, Samuel L. Galman III both of Youngstown; her in-laws, Earle Warren and Linda Warren; a granddaughter Sa’Maya Martin of Katy, TX who was the light of her life; special aunts, Dorothy Greene of Youngstown, and Velma Collins of Birmingham, Ala.; sister-in-law, Theresa (Robert) Gore; her fur babies, Prince and Gabby; and a host of other aunts, uncles, nieces, nephews, other relatives and friends. She was preceded in death by her parents; an infant son; and her grandparents, John and Louise Greene, and Rockerfeller and Beautio Galman. Friends may call one hour prior to the services 9-10:00 a.m. at the church. Arrangements were entrusted to L.E. Black Phillips and Holden Funeral Home.